The first product featured is our 8935-EB basin installed in a public restroom in Minturn, Colorado. 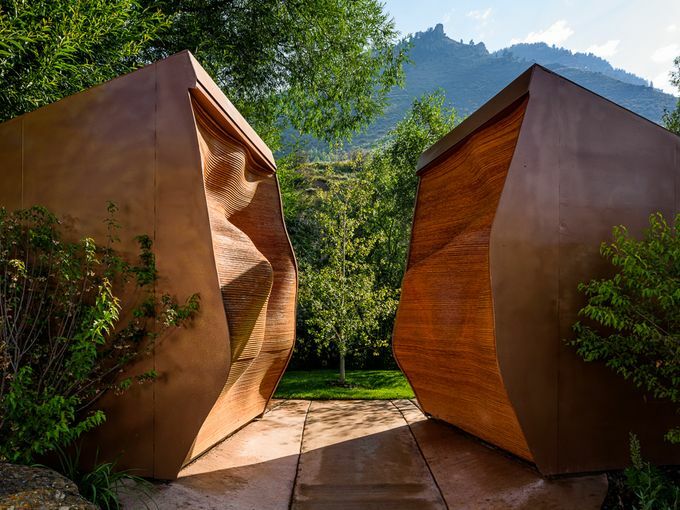 This restroom, deemed a piece of "functional art," was created to resemble a passageway into a Rocky Mountain mine. 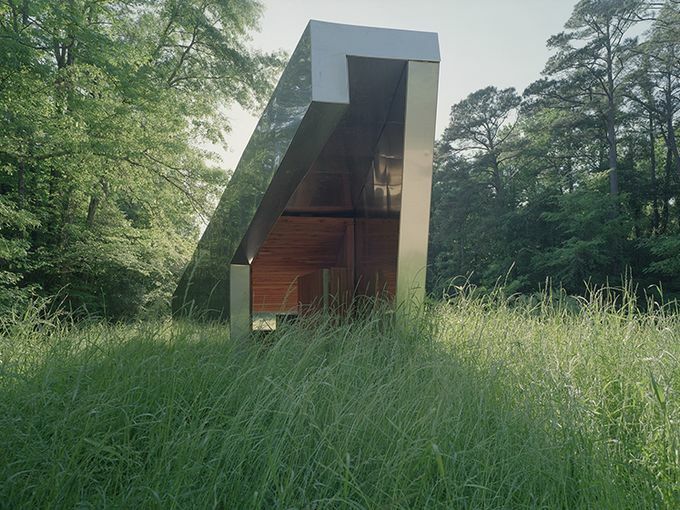 The restroom also won the Cintas' 14th annual "America's Best Restroom" contest. Our second featured product is a custom Neo-Metro Hand Washing Station Model 8985-6 installed in the restrooms of The Music Hall in downtown Portsmouth, New Hampshire. 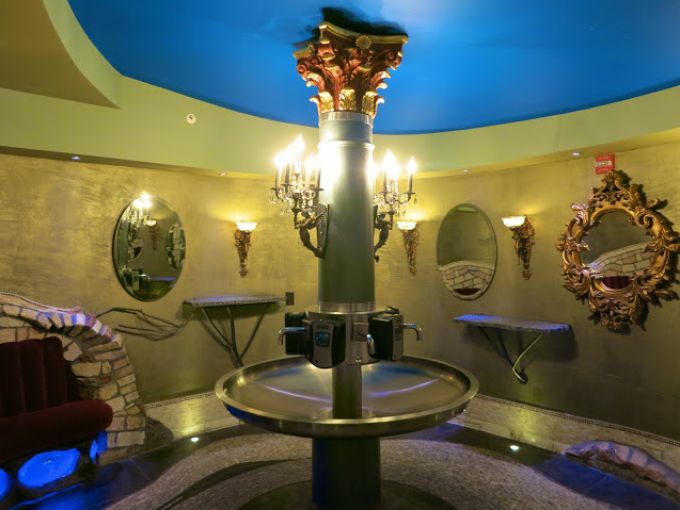 This restroom dates back to the 1870s and has been remodeled with a fantasy forest theme. Our final featured product is our 8955-W-3 contour toilet installed in a public restroom in Marion Park, Alabama. 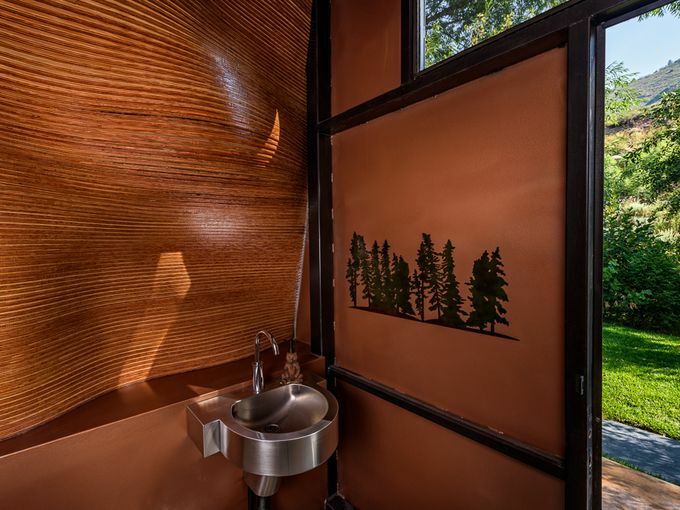 This restroom was built with durable and local materials by architure students from Auburn University Rural Studio. 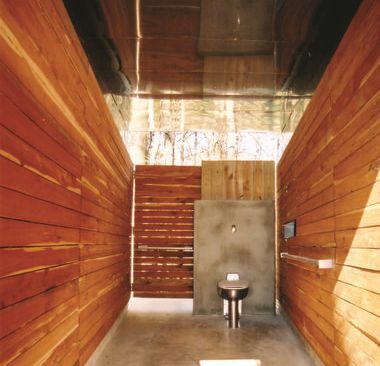 Click here to see the other public restrooms that made the list.